David Binns-Loveman, CFP® started his relationship with the financial services industry as a client of current business partners L Suzanne Cronise and Shannon Underwood. A former information technology consultant and mechanical engineer, David began his financial services career in 2005. As a biological and adoptive father of four, David especially enjoys working with families to address their total financial needs, including insurance, retirement, and college education planning. 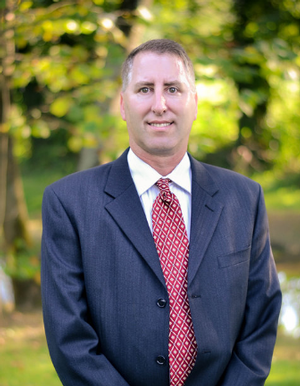 David is a member of the Roanoke Valley local of the National Association of Insurance and Financial Advisors. He has held several officer positions with the local association, including serving as President in 2011-2012. As a CFP®, David is also a member of the Financial Planning Association. David is an active member of Saint Mark's United Methodist Church in Daleville, Virginia, serving in the choir and children's ministries. David resides in Roanoke with his wife, Dr. Karen Binns-Loveman, and their four children. Retirement Planning Specialist title awarded by AXA Advisors, based upon receipt of a Certificate in Retirement Planning from the Wharton School, University of Pennsylvania. Certified Financial Planner Board of Standards, Inc. owns the certification marks CFP®, CERTIFIED FINANCIAL PLANNER(tm) and federally registered CFP (with flame design) in the U.S., which it awards to individuals who successfully complete CFP Board's inital and ongoing certification requirements. Retirement Planning Specialist title awarded by AXA Advisors based upon receipt of a certificate in Retirement Planning from The Wharton School, University of Pennsylvania.